This spring I’m teaching the undergraduate/graduate class SOC 412: Designing Field Experiments at Scale for the second year. In this hands-on class for students in the social sciences, computer science, and HCI, you will start experimenting right away, learn best practices in experiments in real-world settings, and learn to think critically about the knowledge and power of experimentation. The final project is a group project to design or analyze a large-scale experiment in a novel way. I approach the class with an expectation that each project could become a publishable academic research project. Many users join gender-related discussions online to discuss current events and their personal experiences. However, people sometimes feel unwelcome those communities for two reasons. First of all, they may be interested in participating in constructive discussions, but their opinions differ from the a community’s vocal majority. Accordingly, they feel uncomfortable voicing these opinions due to fear of an overwhelmingly negative reaction. 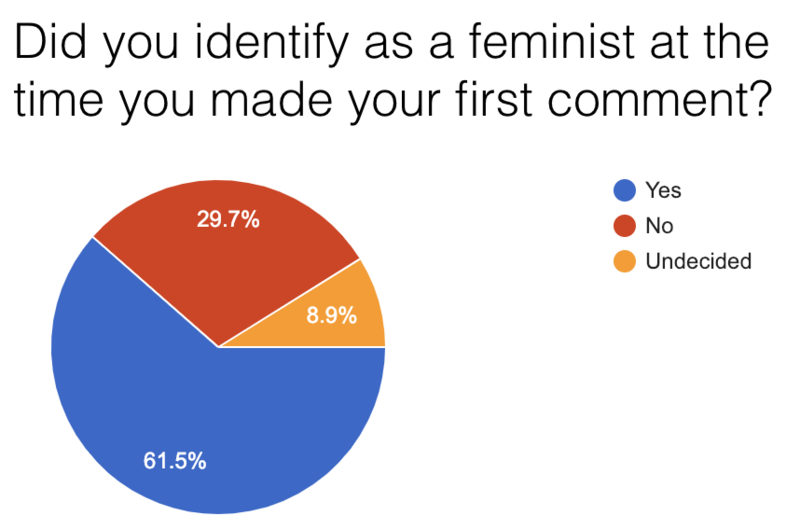 Second, as we discovered in a survey, many participants in online gender conversations wish to make the experience uncomfortable for commenters. In this ongoing study, two undergraduate students worked with moderators of an online community to test the effects on newcomer participation of interventions that provide first-time participants with more accurate information about the values of the community and its organizers. Austin Hounsel developed software to generate advertisements and direct volunteers to test and compare the boundaries of Google and Facebook’s election advertising policies. In the class, Austin chose statistical methods and developed an experiment plan in the class. Our findings were published in The Atlantic and will also be submitted in a computer science conference paper (full code, data, and details are available on Github). In this study, we asked how common these mistakes are and what kinds of ads are mistakenly prohibited by Facebook and Google. Over 23 days, 7 U.S. citizens living inside and outside the United States attempted to publish 477 non-election advertisements that varied in the type of ad, its potentially-mistaken political leaning, and its geographic targeting to a federal or state election voter population. Google did not prohibit any of the ads posted. Facebook prohibited 4.2% of the submitted ads. I’ve written more about what I learned from the class in a series of posts here at Freedom to Tinker (part 1) (part 2).